It’s easy to travel to Kalamazoo. 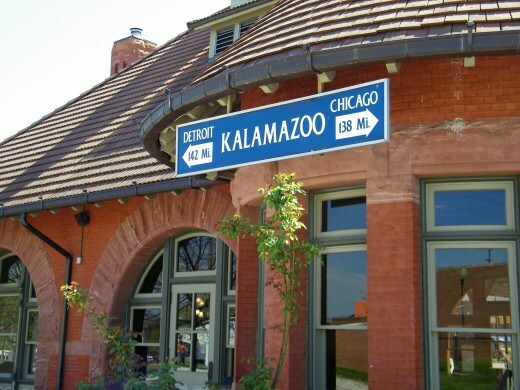 Located in the heart of the Great Lakes region, Kalamazoo is midway between Chicago and Detroit. USA Curling National Championships is the ideal time to visit the area. Purchase your tickets to the event and explore all that Kalamazoo has to offer! USA Curling Nationals is a great excuse for a vacation or stay-cation. Lodging specials are available for curling athletes and fans who are looking for the full Kalamazoo experience. There are many ways to travel into Kalamazoo for USA Curling National Championships. If you’re not looking to drive into the area, hop on the Amtrak, travel by bus, or fly into Kalamazoo/Battle Creek International Airport. While you’re in town for Curling, be sure to stop by all of the local spots for food and drinks! Kalamazoo home to many fantastic breweries, distilleries, and wineries - all within a short distance to Wings Event Center and area hotels.